PCS Painters™ is a brick and mortar full service painting company. We endeavor to provide you with professional craftsmanship you expect and deserve. We pledge to meet, and, hopefully exceed your expectations on every job whether large or small. Through quality craftsmanship, safety and diligence, your investment is always well protected with PCS Painters™. Over the years, PCS Painters™ has become a business that has flourished thanks to the many satisfied clients we have served. We also know that our company has prospered due to the generous referrals our gratified clients have shared with others. We believe that a satisfied client is our best public relations tool. Therefore, we aim to ensure that each client is 100% satisfied with our services! 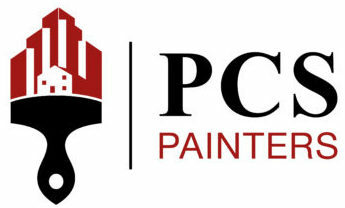 Employees of PCS Painters™ are highly qualified, experienced professionals well prepared to meet all of your painting and staining needs. We gladly supply our customers' with a certificate of insurance upon their request. - Do they have knowledge of their product? - Will the work be done by career painter employees or sub-subcontractors? - Has the painting contractor made you feel confident in your decision? Copyright © 2019 Professional Coating Services, LLC All rights reserved.